Some of you said I was crazy. My Dad said I wouldn’t last a week. 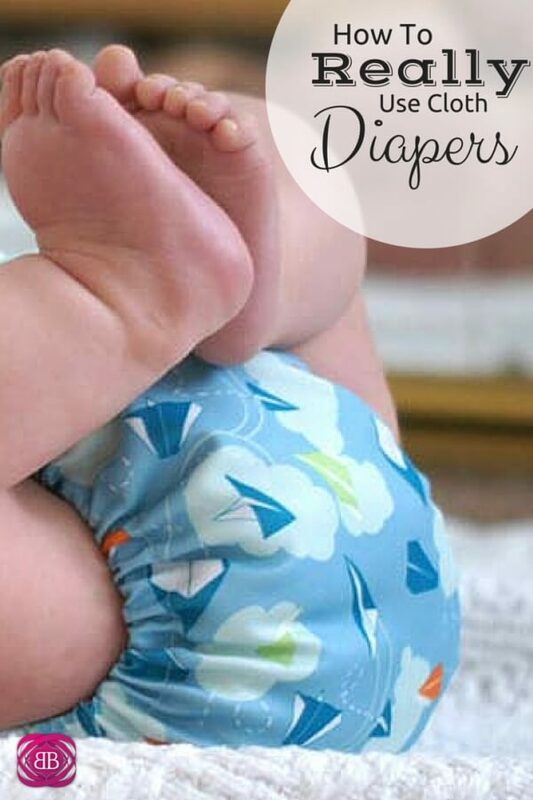 There have been times I couldn’t stand the sight of one more diaper, but ultimately I learned how to use cloth diapers very quickly, and they’ve been a life saver in so many ways. Over the past few months, I’ve gotten more questions on how to use cloth diapers and if they were really worth it more than anything else, so I’m happy to finally sit down and flesh it all out. My primary reason for learning how to use cloth diapers was to save money. The Earth saving benefits are great, but saving money was, to be perfectly honest, the real reason I wanted to go down this road. With twins, I knew I would quickly blow through tons of diapers (see what I did there?) and although I could try to save money in a variety of ways, learning how to use cloth diapers was a given. I did some research on the ol’ interwebs, and it seems there are really varied amounts for how much money people spend on disposable diapers in 2 years. I’m sure I would use some coupons here and there, but in 2-2.5 years with 2 kids, I think disposables would have run me $2,000+. So far, we’ve spent about $500 on cloth diapers however (and this is important), I’m going to sell them on eBay when we’re done with them. Yes, it sounds crazy I know but even used cloth diapers sell very well. Moms and Dads can strip them and make them brand new again, and people buy them up like hot cakes. So the lesson is, once you learn how to use cloth diapers, then learn how to strip and sell those bad boys at the end! I estimate by the time we’re done with this whole diapering adventure and sell them back into the world, we will likely only be in the hole $200, maybe $300. And for the record, lots of people save their diapers and use them just fine on their second and even third kids, but seeing as we hit the jackpot with boy/girl twins, we will be selling our stash at the end of this. You can buy cloth diapers with inserts, without inserts, etc. etc. etc. and it can all get a little confusing. Basically the ones with inserts attached means you wash the whole diaper “all in one”. If you get inserts that are separate from the diaper, you have to take them out to wash and then put them back in, which adds a few minutes to your day. You would think that would make the “all in one” diapers better, and I thought so too, but the one thing people don’t really talk about is the dry time. Ohhhhh the dry time. This is important. When you buy the more expensive cloth diapers with the insert attached, those bad boys take forever to dry when you air dry them. Soon, you will give up as I have and throw them in the dryer. that I listed above have inserts that you can put in the dryer, and because it’s separated from the “shell,” it makes the shell dry wayyy faster saving you time and also saving your sanity. Had I known this ahead of time, I wouldn’t have wasted my time or money buying anything else. You can get diapers with velcro or snaps. I have both, and it’s pretty simple to learn how to use cloth diapers with either of them. I will say that the velcro does not last as long but it’s good for skinny babies like my daughter because you can really get the fit just right. If you have a chunker like my son, either works great. from that same company and found it to work better than anything else. I use a little diaper rash cream as a preventative. Only my son has had issues with diaper rashes, which I believe have been the result of more a parental error than a diaper error. I just learned I have to let his bum be really, really dry before I put a new diaper on and that’s about it. Part of learning how to use cloth diapers is this sort of trial and error way of doing things, but it’s really not so bad! for most of the day anyway. So, we now wear cloth every day, every time we go out and it’s fine. really isn’t a necessity per say if you really want to save money because you could do an extra cold wash ahead of time, but I think it’s good to have one. That’s the only really gross part of the whole gig is spraying out the diapers. We do it every night. We rock/paper/scissor for who has to do it. Usually I lose and then hubby feels sorry for me and does them anyway. 😉 It takes about 5-10 minutes and then we wash them over night. We do a hot cycle with a little bit of detergent and then an extra cold rinse. We put the inserts in the dryer and hang up the shells unless we’re really lazy and throw the shells in with them. As for how many cloth diapers you should get, that’s up to you. We have about 13 for each baby, and we can sometimes get away with going two days without washing diapers depending on how things go. Overall, we’ve been super happy with the decision. It wasn’t hard to learn how to use cloth diapers. It’s not hard to wash them and get them ready for the next day. It’s great on our wallets, and they look cute on their bums. Seriously, here is that pic again from earlier – adorable right? With twins and a full time business and a husband to tend to as well, I still manage to get them all done and it’s fine. My mom stayed with me a few days and she said she wouldn’t like the pressure of always having to wash them but it’s just part of our routine now. If you want to take a break from cloth diapering, just buy one pack of disposables and take a little break for 3-4 days and then go back to it. That’s what we did when the hubs was off recently and we wanted to use that time to clean, organize, and wash a ton of other things. It was just enough of a break to not mind going back to it. Do you use cloth diapers? Ever considered it? It’s definitely something I plan to consider when I get to that point. I don’t know why people are SO averse to it. Well, I get it, but at the same time, is it really worth spending an extra $2,000? I think they keep thinking of how cloth diapering USED to be. It’s so different now! I would use cloth diapers if I had to do it all over again. I’m sure it saves a ton and I don’t mind cleaning up baby poo! My hats of to you Cat! Twins, cloth diapers (and washing them yourself – no diaper service – do they even have that anymore? ), working like crazy, the two of you. You deserve the I-don’t-know-how-she-does-it-award.! My daughter just has one and is in disposables. OK she had BF problems first two months and they moved house but you’ve done that too! Anyhoo, I didn’t know that about needing special diaper rash creme. Very informative post and this should encourage any mother to try. I liked the advice about taking a break, if needed. Aw thanks. Well I am crazy and like to pile it on haha. We used a combo of cloth, disposables and elimination communication, whichever is easiest. Now we are down to cloth at night and disposables at daycare’s nap time. Yay for early potty training! Yes – so you might like flip diapers which we have a few of. You just change out the inserts and leave the shell. Main issue is this works for #1 and you can use the shell 2-3 times in that case but with #2 it often gets on the shell and you have to wash it. Eventually you will have the wash the shell because it will absorb the smells etc. It’s not micro fiber actually, it’s micro suede against baby. Some babies can be sensitive to micro suede but most aren’t. Never use micro fiber against your baby. It’s a super thirsty fabric and will dry out your baby’s skin. You can get flats, prefolds and fitteds and then put a cover over them. Then you only need 2-5 covers depending on which you choose and a few other things like how muid your area is. You then just wipe the covers down and can reuse with a new flat/prefold/fitted. Props to you, Cat! This is awesome and bet your readers will find great value in it. Personally, I do not have kids yet but I know I’m not going to use cloth diapers – they’re just not for me! haha. But I really do think it’s awesome and admirable of you. We use cloth at home, but this darn daycare won’t take them (first one). One alternative for folks who want to go back and firth is GroVia. They have a hybrid diaper – snap in a cloth insert or put a sticky sided disposable liner in instead. I was amazed at how well sun bleaching works for keeping cloth diapers nice and new looking. Oh those sound cool and great for people wanting to try! LOVE LOVE my GroVias! They have been fantastic! We just sort of jumped into cloth diapering and when at our “crunchy baby store” looking at the different types of diapers, they seemed to make the most sense. You change out the snap in liner but the shell can usually be used for about half a day unless it gets poop on it. Also, the GroVia Magic Stick is a great product for diaper rash. It’s handy that it is in a stick form and makes it easier for on the go! I was telling this to my mom and she said none of her kids wore diapers; cloth all the way. It really is a load of money you’re saving and like you said, once you get into a rhythm, it’s just becomes a part of your day. That stage will be over before you know it! I know it was very common back then! Beautiful pic of you and your beans! I use disposables, but I can’t deny the cute factor of cloth! My son is using disposable diapers and I don’t want to think about how much we have spent. For potty training, I’m strongly considering switching to cloth training pants….I’m reading that they feel the wetness more than with pullups….of course the cost savings will be an added benefit! Interesting – good to know! It’s a little weird to me that people would side-eye cloth diapering, but that’s because it’s just an accepted thing in my family. My sibs both had babies this spring, and they both cloth diaper, and it was no big deal to any of us. Plus, babies in cloth diapers tend to potty train a lot faster, which I would think is a win all around! Yeah they really arent bad! I remember being impressed with you when you first wrote about going the cloth diaper route and I am STILL impressed with you. It is definitely a huge cost savings since most people spend an average of $50 a month for diapers; however, I just could not image having to clean some of Will’s diapers in the wash. I was always so glad to throw it in the trash and not think about it any more. Haha I understand!!! and thanks! Yes my friend was facing the same issue with coin operated laundry! We’d be bankrupt at this point lol! I don’t have kids so thankfully I haven’t had to consider this yet. I just can’t see myself using cloth diapers, though. I just can’t imagine them ever getting truly “clean”! haha you can bleach those suckers! I use cloth diapers and they are really clean and nice smelling after being washed and dried (in the sun in the summer, in a dryer in the cold/wet weather. To be honest, I was really disgusted by the smell of the disposable diapers – clean or dirty. Every time my daughter peed she smelled so badly, plus there were constant leaks and changing and washing her onesies or bodysuits. With cloth diapers there is no nasty smell and no leaks. We use them all the time, even at night. I have 30 diapers by Planet Baby (I think it’s Canadian company) and I could wash them every other day, but we do it daily, after she’s gone to sleep. Prints on the covers are very cute as well. I’ve been using them for almost 4 months and there is no need for bleach. They look like new. It is OK to throw them in the washer, if the baby is exclusively breatfed, but I prefer to pre-wash them in the sink (my husband does it in the shower using some special setting on the shower head). I would recommend them cloth diapers to any parent with one condition : you have to like doing laundry, because you’don’t have to wash them frequently, at least every 2-3 days. I’m glad you’ve had such great luck with them! If we ever had kiddos, I think I would be likely to try cloth diapering. But does it require a special type of washer or dryer? Or are the normal ones good enough? The normal ones are good enough – some people really stick to only using cloth diaper detergent but we just use any free and clear detergent and it works fine for us. I loved reading your post about cloth diapers. It is amazing how much flack you get from friends and family when you suggest using them. We are expecting our first in a month .. And it was my husband who came home a while ago and suggested cloth diapers. He had already done all the research and his task was trying to convince me. My biggest concern was the diapers that had an insert vs the ones with a pocket. I too thought that the ones with a pocket would be a massive amount of laundry — so we went with a brand that had inserts so you can reuse (depending on the mess) the outer shell … Less laundry (maybe). So now we wait … But it looks like we might use disposable for the first few weeks until our little one gets “regular” then we will introduce the cloth. Did you start with cloth or did you use disposable at the beginning??? Thanks Rachel! We actually did the bumgenius newborn diapers in the beginning. I probably wouldn’t have if it was just one baby but since we had two and they were preemies the savings added up for those too since they wore them for about 8 weeks! We used cloth diapers for about 3 years, and although it’s about 10 minutes/day more work, I’m happy we did it. All told, we spent just under $1,000 on diapers and supplies (we bought a bunch of diapers that ended up not fitting so well, so we sold those and switched to BumGenius but lost about $200 in the process). You will worship that diaper sprayer once the babies start on solid foods! I’m glad you liked bum genius and good to know on the diaper sprayer! I’ve seen a lot of people online using cloth diapers these days, they definitely seem to be on the uptick. Do you think you would consider getting more of them, so you could go longer without HAVING to wash them? I thought about it but the diapers really do need to be washed. The trashcan hides most smells but I really wouldn’t push it past 2 days! I am so impressed, Cat. I didn’t realize you were using cloth diapers on the twins. We did use disposable for the convenience, but they definitely do get expensive. And I imagine that bite is even harder when you’re buying for two. 🙂 I had no idea cloth diapers were so adorable. 🙂 Most people probably use disposables because they are also kind of grossed about cleaning clothes (admittedly this played an initial role in our decision too), but after you wipe enough stinky bums … you do become numb to it. Thanks they really are so cute!! My parents used cloth diapers when we were babies, and have literally saved them for 20+ years so we wouldn’t have to pay the initial cost when we have babies 🙂 So I guess I’m trapped into using cloth diapers! I hear cloth diapers save thousands on used diapers that could go to clogging landfills. Overall it seems like they are friendly every which way thats possible. Kudos to you for doing this. Cloth diapers are SO worth it. My husband had to talk me into them and now both of my kids are in them. I went the extra mile though and sewed my own using the Babyville Boutique line of products (which can be purchased at JoAnn Fabrics). My husband made the sprayer for our toilet using odds and ends at Home Depot. Works great! I read an article (in an 8th grade classroom of all places, when I was substitute teaching) that said it takes the average disposable diaper 436 years to decompose. Yuck! Wow that’s crazy! Thanks for sharing Sarah! I asked my wife what kind of diaper our baby is using. I found out that it was cloth diapers. I was stunned hearing cloth… I was relieved when she said that it was very comfortable and not irritating the skin of our baby. More than that, my wife bragged that it’s really saving us money instead of buying the typical diapers. We had all intentions of using the clothes diapers we bought, but when it came down to it, we loved the convenience of disposable. I am sure we will give it another go whenever we have another one. We used disposables through the Amazon Mom program, I think we paid around $25/mo for the giant Luvs package which lasted a month. Honestly when I first opened this story the image in my mind went to a square of cloth held together with 2 safety pins. Thankfully the diaper days are behind us, If we were to do it all again it might be something worth trying, An extra $1,500 to $2K is certainly nothing to discount!